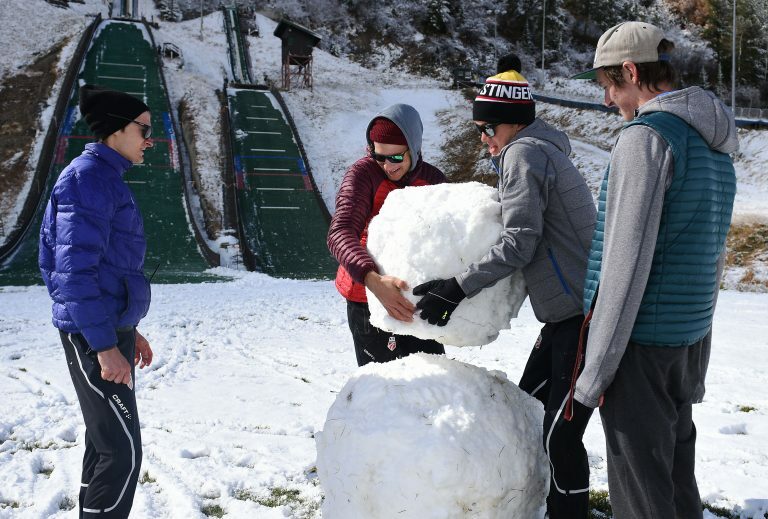 How many World Cup skiers does it take to build a snowman? 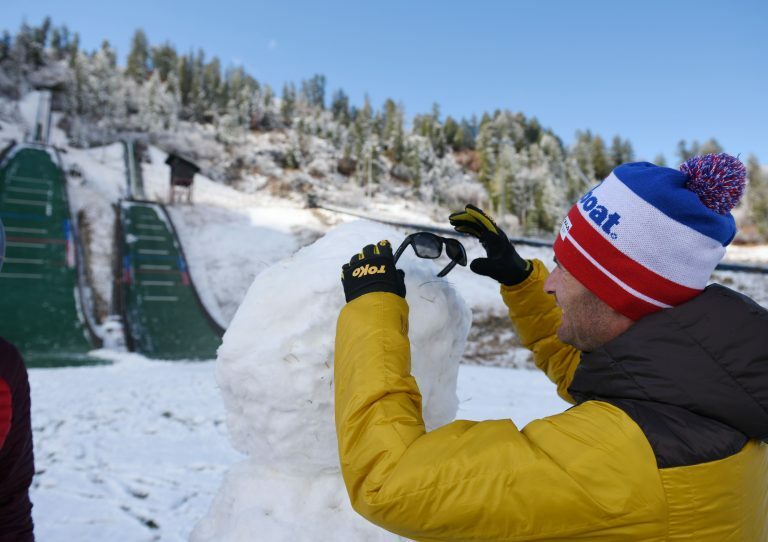 Jasper Good rolls what became the base of the U.S. Nordic Combined Ski Team’s snowman on Saturday at Howelsen Hill. 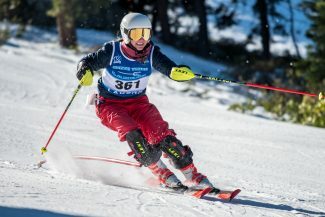 Steamboat-born U.S. Nordic combined skier Bryan Fletcher adds some details. 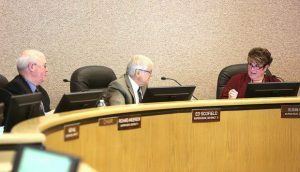 Adam Loomis, left, and Jasper Good make some progress. 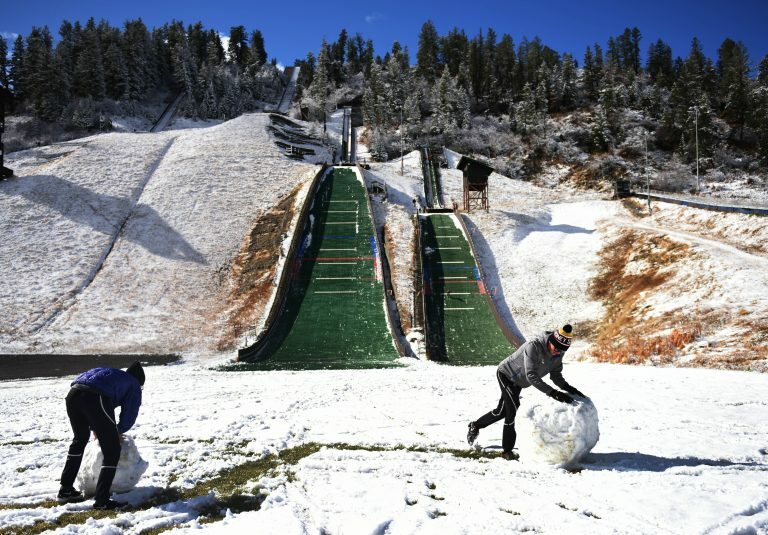 U.S. Nordic combined skiers Ben Loomis, left, and Jasper Good lift the body of their snowman into place at the base of Howelsen Hill on Saturday. 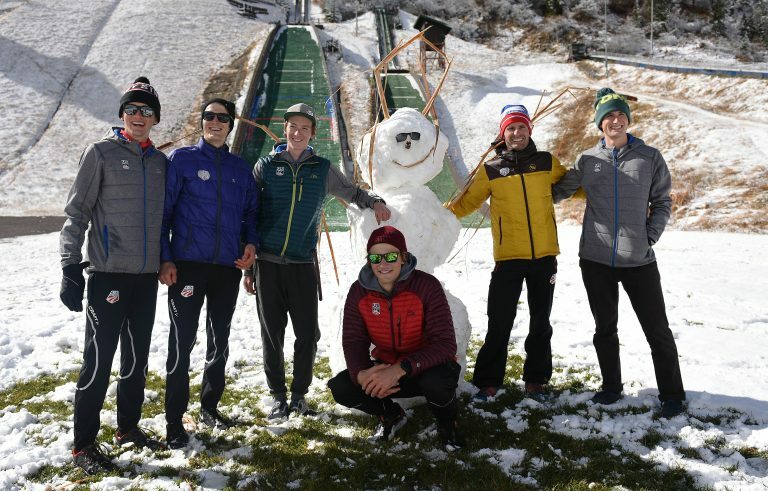 Members of the U.S. Nordic Combined Ski Team pose with their creation on Saturday at Howelsen Hill. The builders were, from left, Jasper Good, Adam Loomis, Stephen Schumann, Ben Loomis, Bryan Fletcher and Grant Andrews. They tore down the snowman shortly after finishing it. 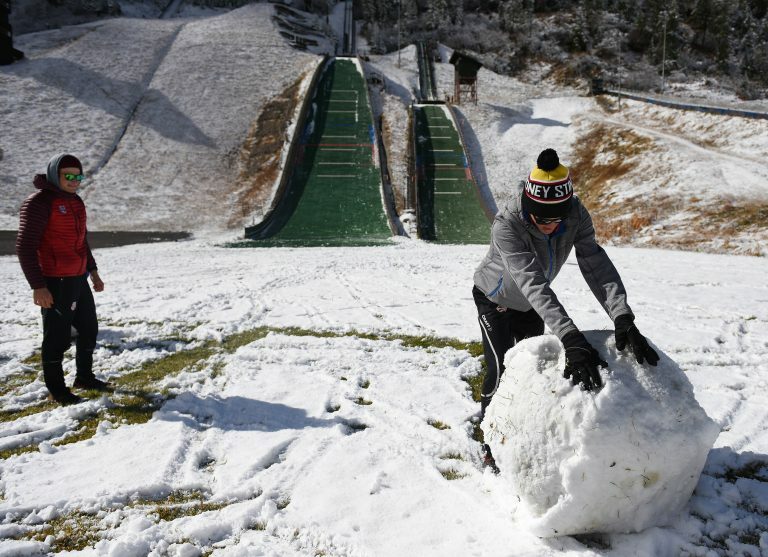 The creation was short lived because, let’s be honest, the landing flats of a ski jump being used by children isn’t an ideal spot for a snowman. 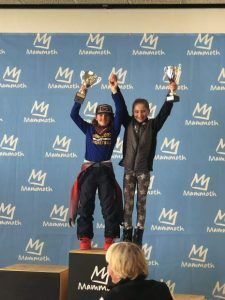 Still, members of the U.S. Nordic Combined Ski Team, in town for a Saturday night, Oct. 21, fundraiser and a Saturday morning camp with young local athletes, put Friday night’s snowfall to use as they waited to dole out advice to up-and-coming skiers.